tuber can be rosted and ground into flour. 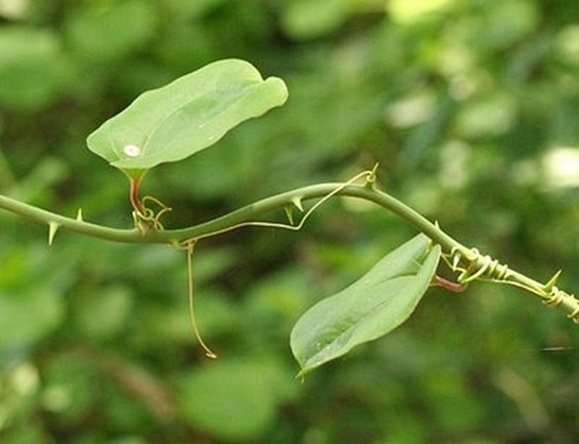 plant is a climbing vine or tangled bush with thorns. grows in thickets and woods.